Dainty and elegant, Koch & Co’s collection of artificial lisianthus flowers are perfect for home decor or event decoration. 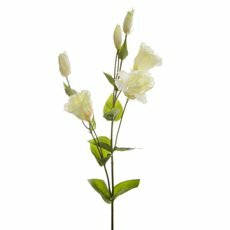 These beautiful rose-like flowers are soft, delicate and perfect for adding a touch of elegance to any space. With Koch & Co’s collection of real touch, single stem artificial lisianthus, you can find the perfect flower for you at affordable wholesale prices. You can also choose from a wide array of colours, from pink to burgundy, cream and purple! 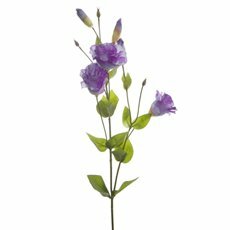 Lisianthus flowers symbolise gratefulness and appreciation, making them the perfect gift for when you want to show your love, respect or admiration to someone special. Love having fresh flowers in your home? Create a beautiful flower arrangement with Koch & Co’s high quality lisianthus flowers! 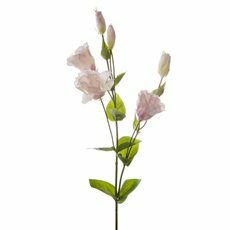 Our silk lisianthus look even more elegant and graceful when brought together with other artificial flowers. Combine lisianthus with artificial roses, peonies, leaves and greenery to create a flourishing bouquet. Complete the look by adding in a glass vase or a ceramic pot, and within seconds you have a gorgeous table centrepiece for your home or event. Don’t forget, you can also use artificial lisianthus for your wedding flowers! For more inspiring decor ideas, head to our Koch blog or browse through our DIY ideas - you may even find a few extra goodies to add you your shopping basket! 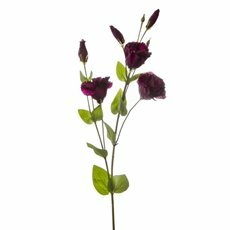 Shop the full collection of silk flowers online today to find some beautiful artificial lisianthus for your space. At Koch & Co, we also have a wide range of artificial plants, artificial orchids, candles and everything in-between - perfect for all of your decorating and DIY needs!